If you are trying to make it big in the market of real estate, then you have to make sure that you put a lot of effort into it. In fact, only just efforts won’t be enough. When it comes to marketing ideas, you have to make sure that you put in as much creativity as well as uniqueness as possible. The market of real estate is highly competitive and as a result, you have to make sure that you are leaving no stone unturned that can work in your benefit. Now, if you are wondering how you can add an extra edge in your marketing endeavors, then here is an idea for you. Go for flyer printing for your real estate marketing as it can give some serious boost to your efforts. When you are looking for different ways to market your property, your obvious aim is to reach out to the wider audience. So, when you are doing that, don’t you think that you also need to focus on the local audience too? 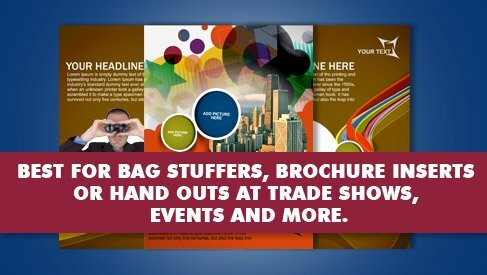 If yes, then flyer printing can be extremely beneficial for your marketing. Being in the industry of online printing in the last many years, I have witnessed how it has helped many real estate developers as well as agents who wanted to make it big in the market. So, if you are already interested and wondering how you can do it successfully, then you are in the right place. Take a look at the following tips to know more. It is necessary that you think of being consistent in your marketing efforts. And when you are designing the flyers, it becomes all the more essential. You are certainly thinking of creating a consistent brand image that will not only stay with your target audience but will also help them relate to your brand. While you are ordering for flyer printing online, ask the shop to use those consistent parts of marketing too, in terms of color scheme, logo and the design that you have already used in your signs, letterheads and digital media. The target audience will look at the flyer once in a while on the go and gather the relevant information within a very short span of time. Hence, it is necessary that you think of putting the message across very clearly and prominently. So, if you are thinking of grabbing the attention of the audience immediately, make sure that you are using prominent and bold font and colors in your flyers so that your message stands out in the design. There are many companies that come to us with a set of color choice for their flyers. Depending on what they are looking for, we suggest the right contrasting colors for the message so that it can be easily noticeable. Now, this is the most important part that you have to think of. If you want to attract more and more potential customers, make sure you are thinking of adding the most perfect images in the best resolution. Also, make sure that you are thinking of adding a quirky touch. There are many companies who add cartoons and similar graphics in their flyers to make it attractive. It will not only bring in a bit of humor but will also make the flyer quite catchy. So, now as you know about these ways of boosting your real estate marketing, what are you waiting for? 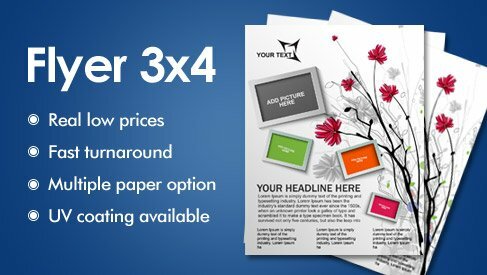 Find a reputed store that offer online printing services and hand them the order. Remember to check the reviews and the ratings before you hire a company. How to Find Top Packers Movers Services in Nagpur?